Years ago, Mikki would come over to my tiny apartment and dye my hair whilst we’d chat about our dreams and drink tea. 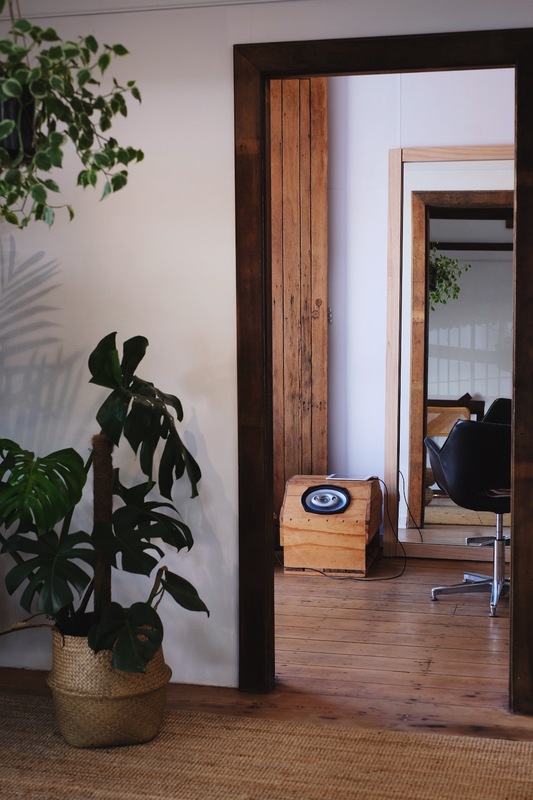 Today, she’s putting the finishing touches on her very own light filled salon, bursting with beautiful plants and upcycled furniture. It’s so inspiring to watch people grow, especially when they’ve found that thing that makes them tick. 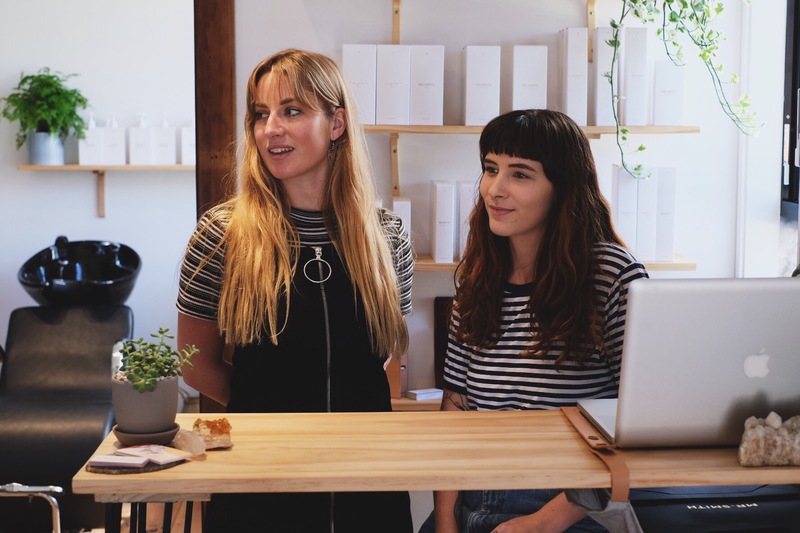 Thanks to my fairly recent history as a business owner myself, I am super passionate about supporting small and local businesses – especially when they have an ethical/sustainable edge. 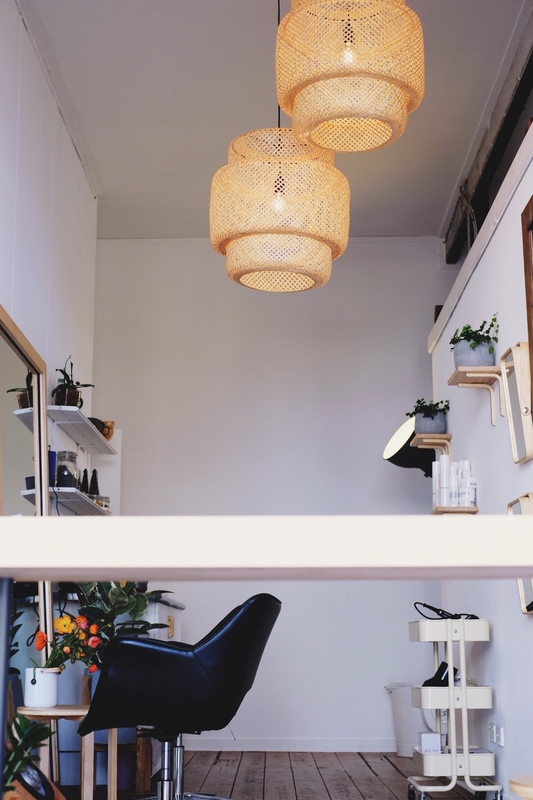 Mikki is SO close to having a completely vegan salon (just waiting on Mr Smith to launch their own colour range). The space itself was originally a stable in the 1920’s, neighbouring a dispensary and is rich with historical vibes. 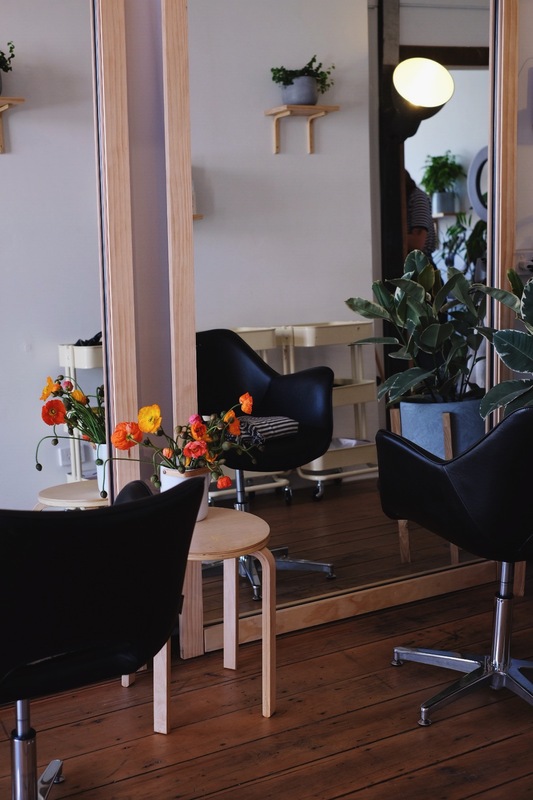 Mikki has organised the salon to create a sense of community within the first moment you walk through the door. The aesthetic is clean, green and homely – dotted with gorgeous crystals from Mikki’s personal collection. I was paying a visit to have my hair coloured by Mikki’s super talented sidekick, Annie. My hair was foiled at a round table, directly next to another client. It was so easy for the four of us to indulge in some girly chat, and there was a distinct nostalgic sleepover club vibe that I instantly loved. We were all swapping Instagram handles in no time. 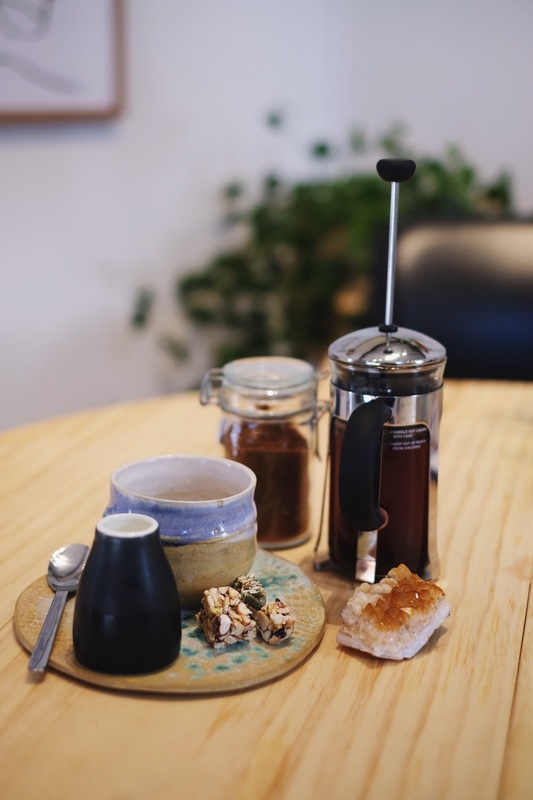 I sipped on my own freshly made coffee served in beautiful ceramic wares from Mas & Miek, and snacked on the most moorish nut cluster bites I’ve ever come across. 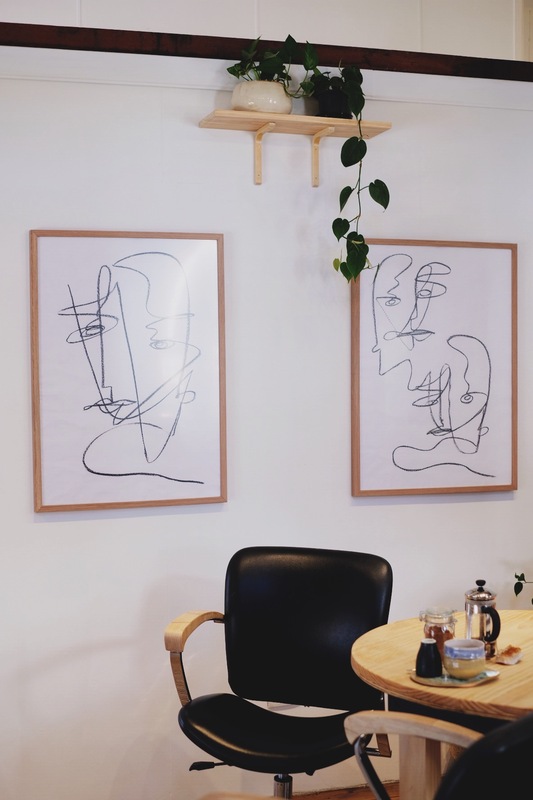 Abstract line artwork by local talent/musician/creative Jazz Di Prima perfectly fills the walls, and there is an envious abundance of healthy plants sourced from Mappins (one of my faves) and the Oxley Nursery. The large mirrors in the main salon room started their life as wardrobe doors and have since been transformed into wooden framed wonders. Much of the furniture was hand made with the help of Mikki’s trusty Dad (how good are Dads for shop fitting, amiright?) and partner Andrew, and the chairs have been found through Gumtree and lovingly restored. A personal favourite up-cycling project was the stunning light box, originally found at Reverse Garbage for a laughable $13! 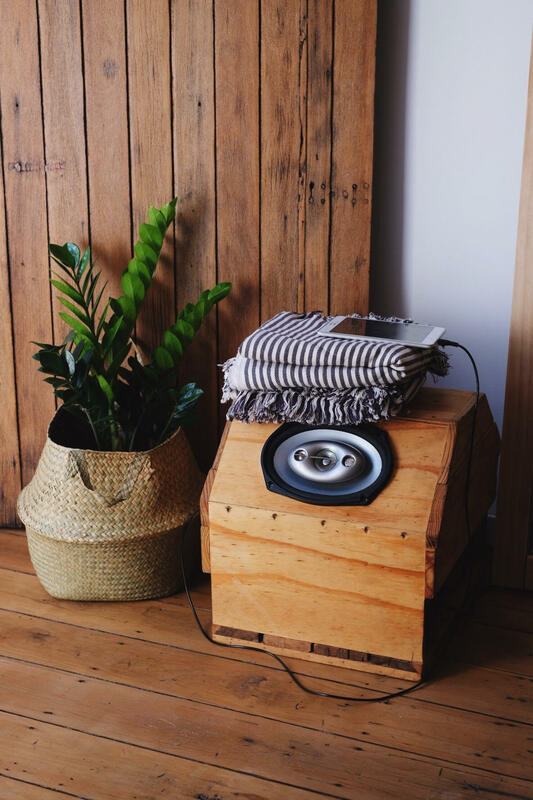 The sneaky sound system in the corner was actually a car radio, now hidden inside some simple pallet tray timber (this one was Andrews pride and joy). Little splashes of creativity are everywhere in this space, and it’s a testimony to the talent and drive of Mikki and her little crew. The end result? 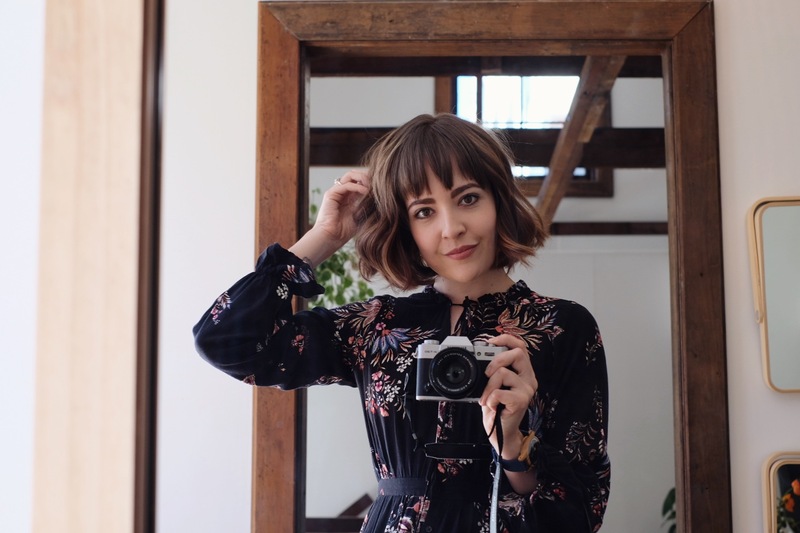 Spiced up locks and that perfect “blogger girl wave” – Annie nailed it! 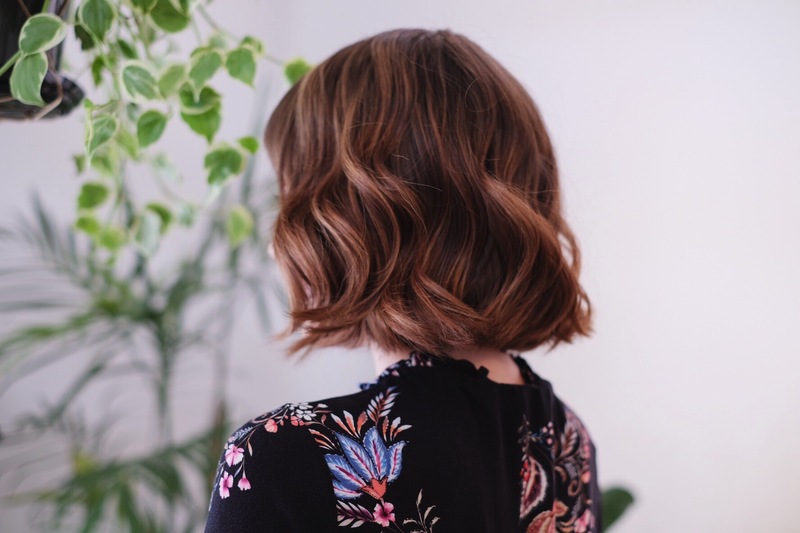 I highly recommend booking a visit for a cut, colour or both as soon as possible. 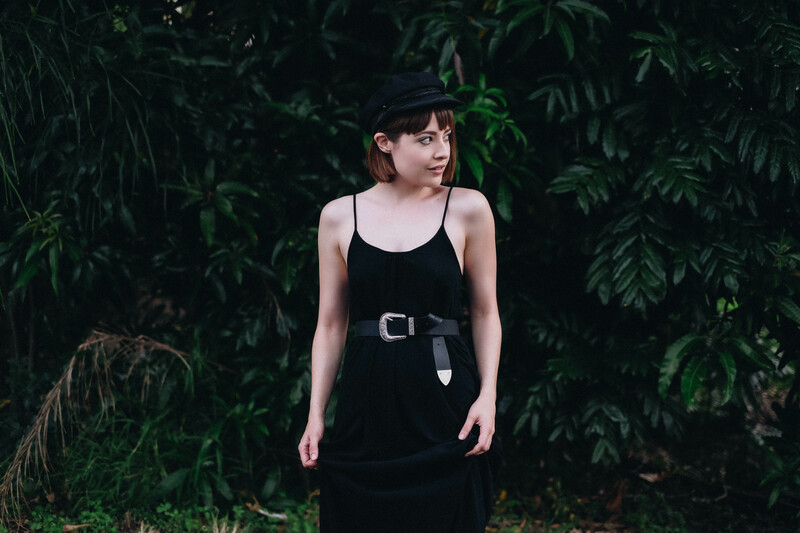 With Mikki already being voted one of Brisbane’s Best Hairdressers for Blondes AND Best Hairdresser by Style Magazine, her appointment list is going to fill up fast. 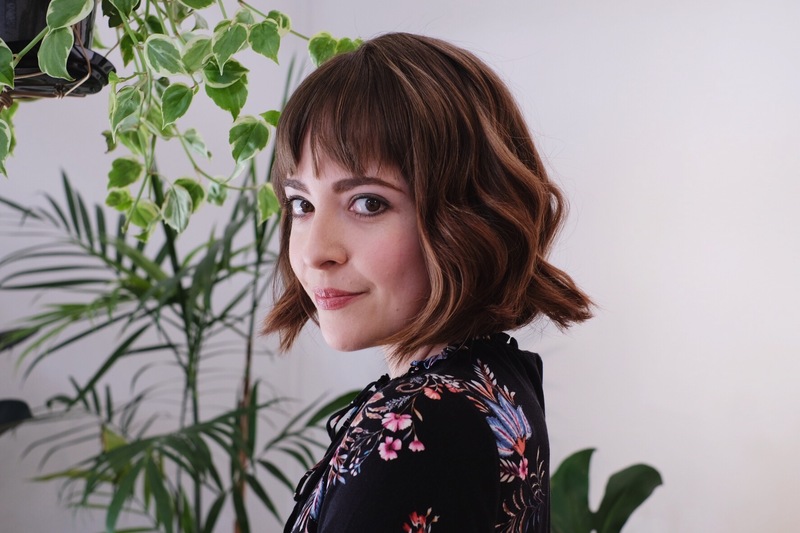 This is one of those really good things that is only accessible now, before everyone knows about it, but soon will be hard to get a visit – so build that client/hairdresser relationship quick! 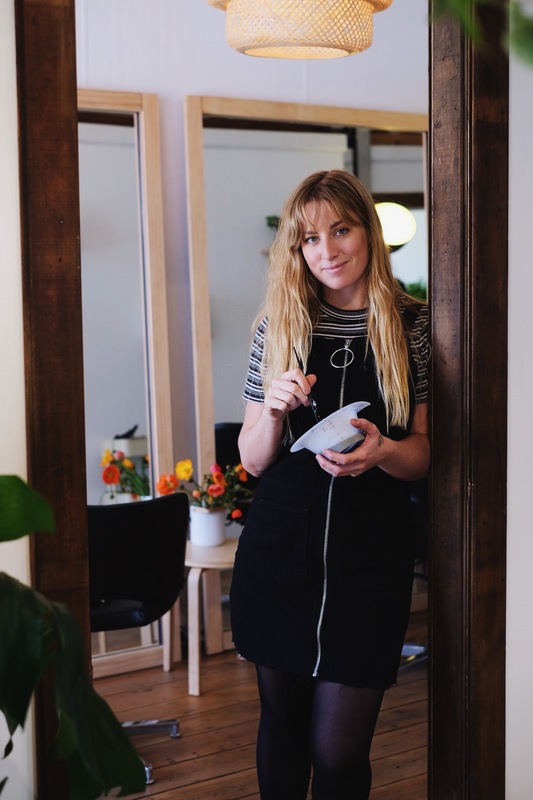 Mikki and I also discussed renting out the space for other creative projects and events in the future – art exhibits, pop up markets, music sessions – she’s open! 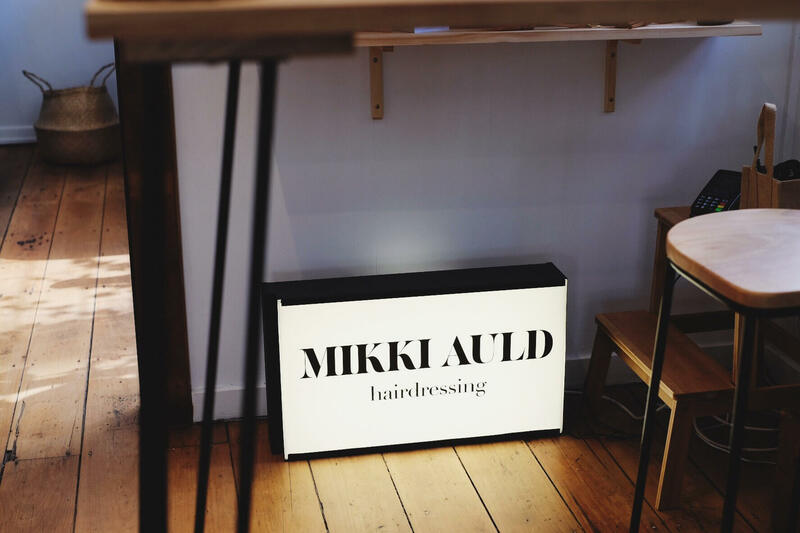 Send her an email at mikkiauld@gmail.com to pitch your collaborative idea.